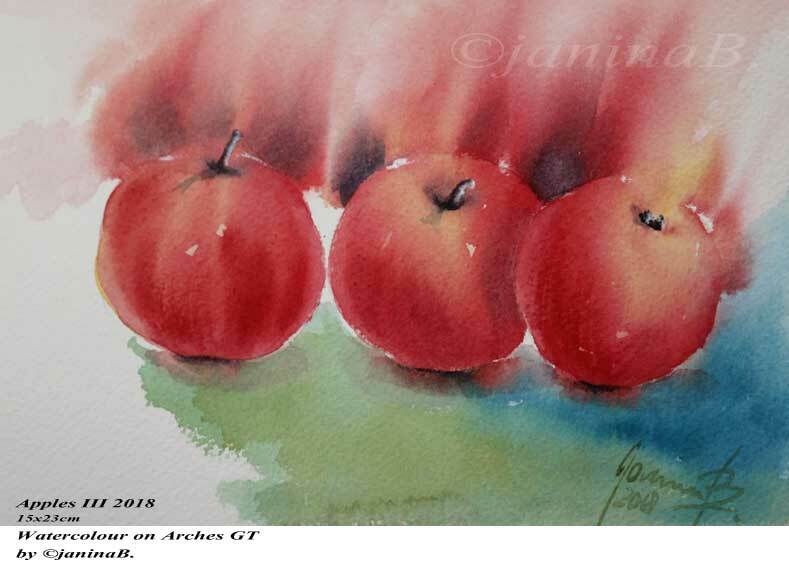 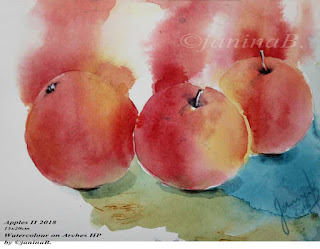 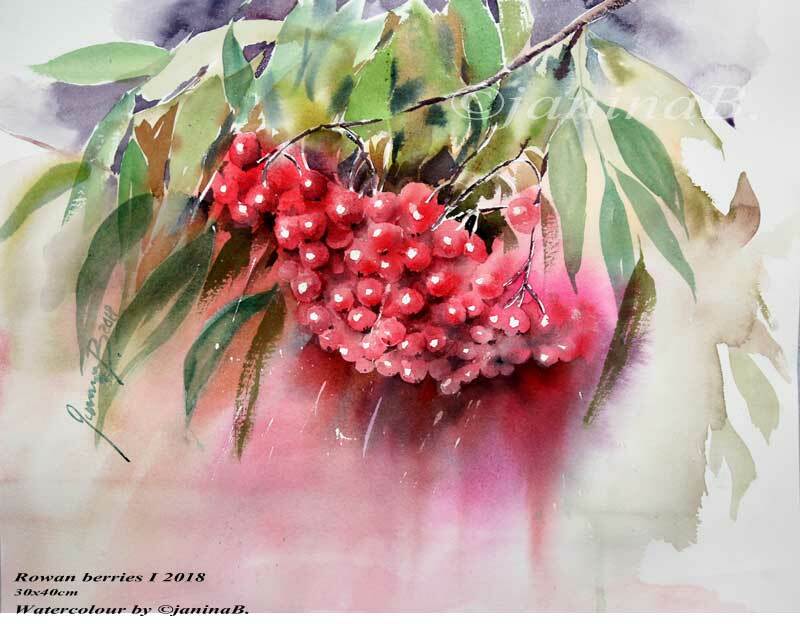 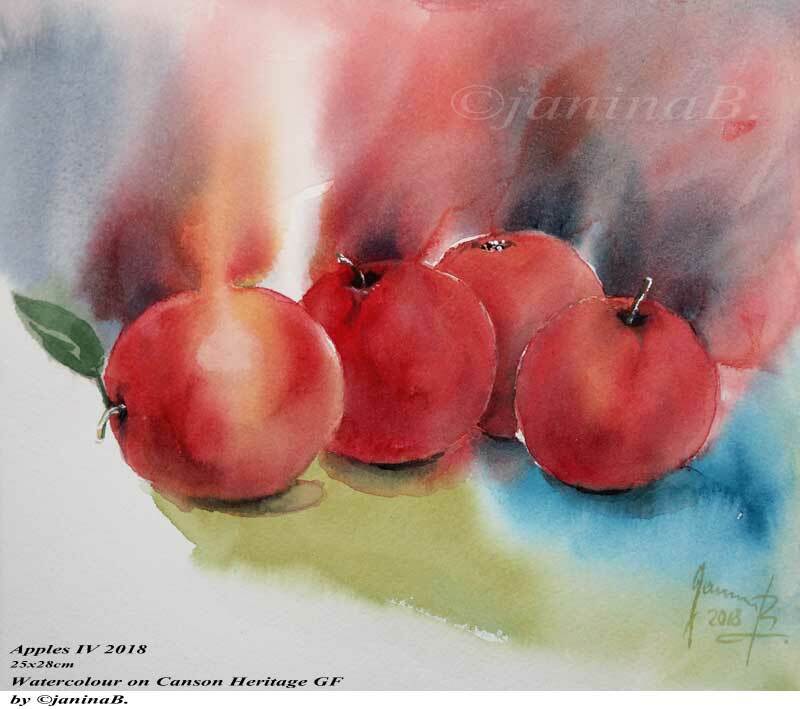 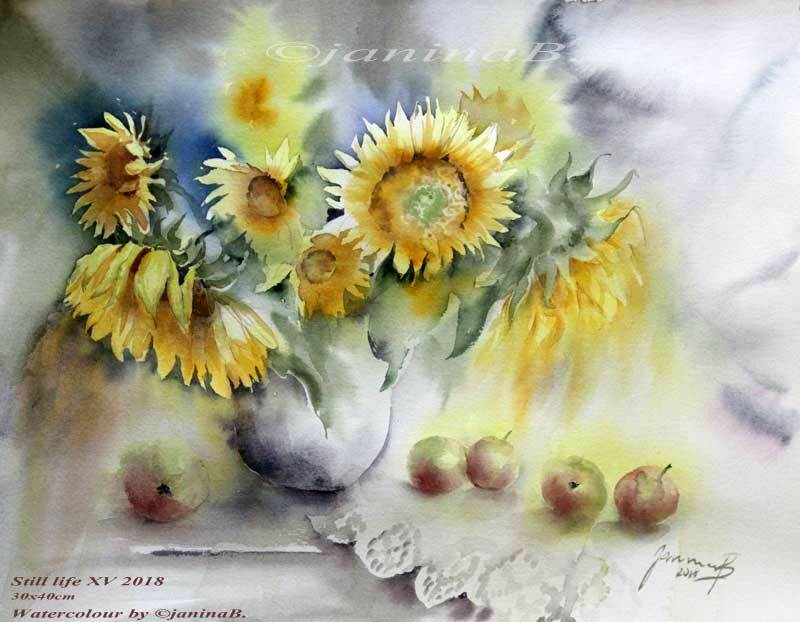 Still life XV 2018 / 30x40cm Watercolour by ©janinaB. 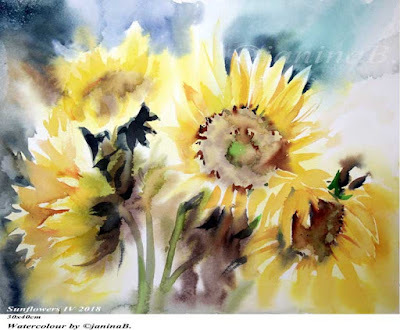 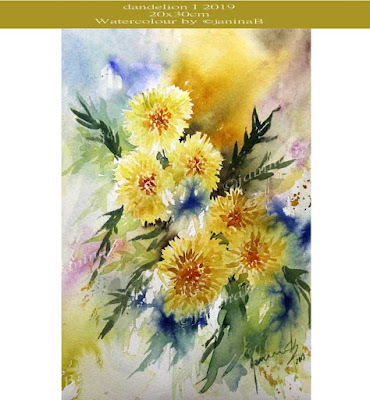 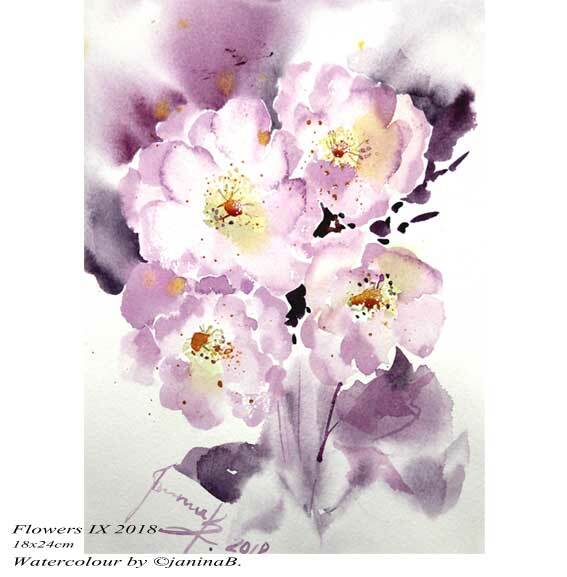 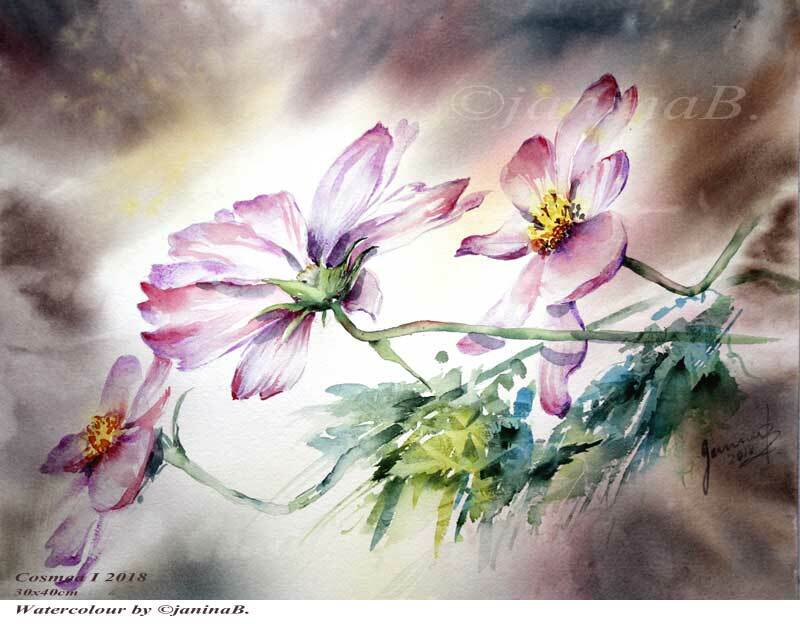 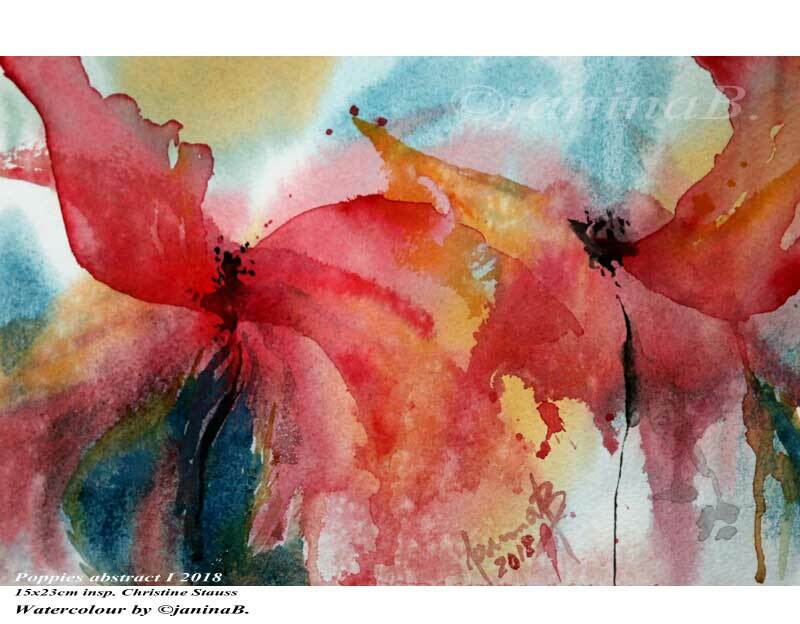 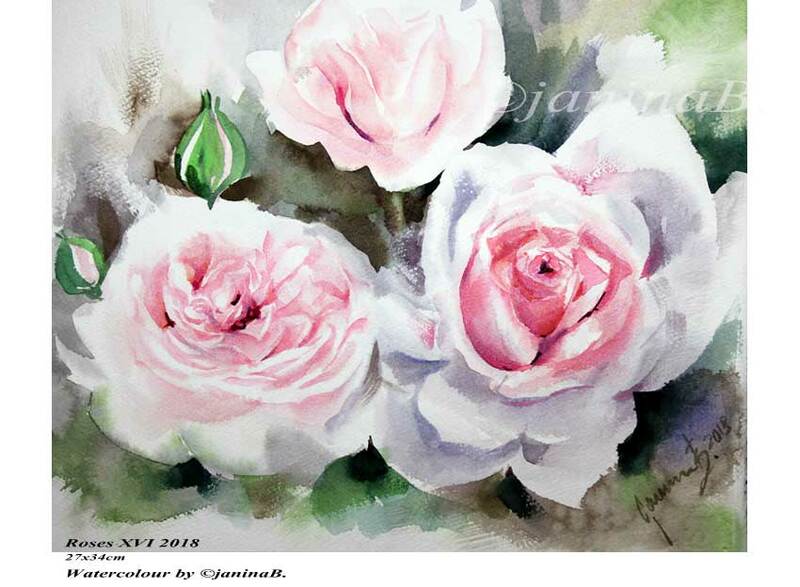 Flowers XIV 2018 / 30x40cm Watercolour by ©janinaB. 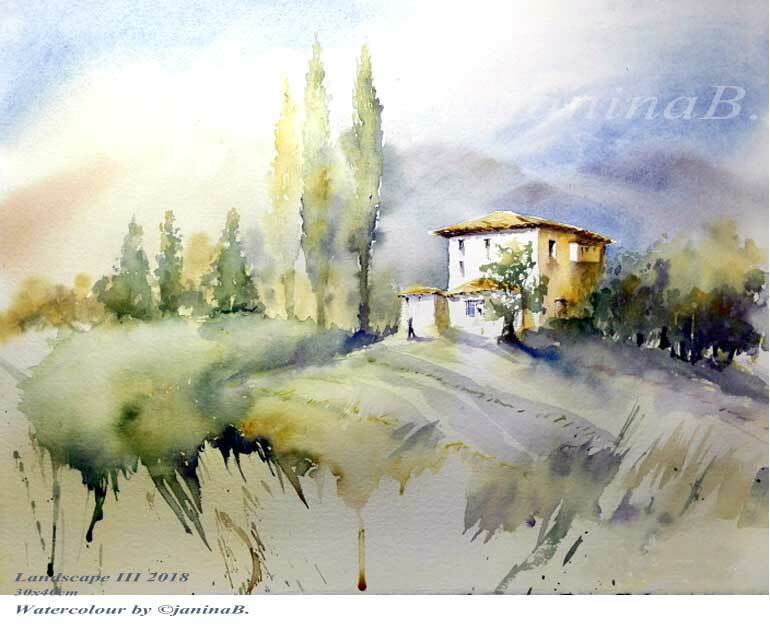 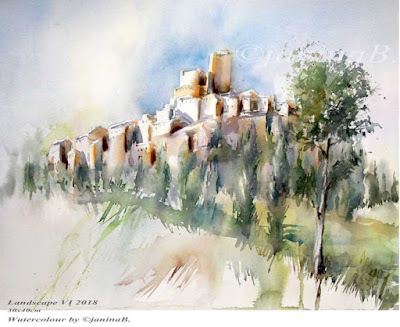 Landscape VI 2018 / 30x40cm Watercolour by ©janinaB. 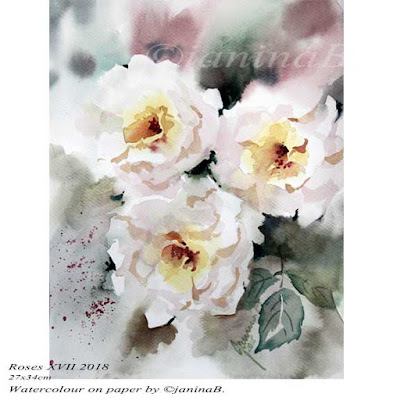 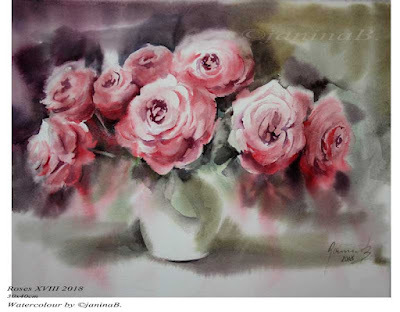 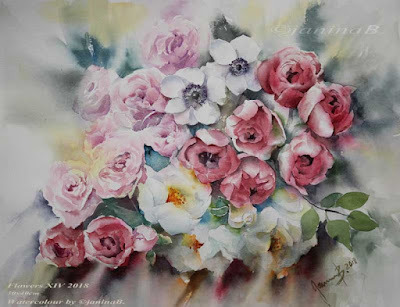 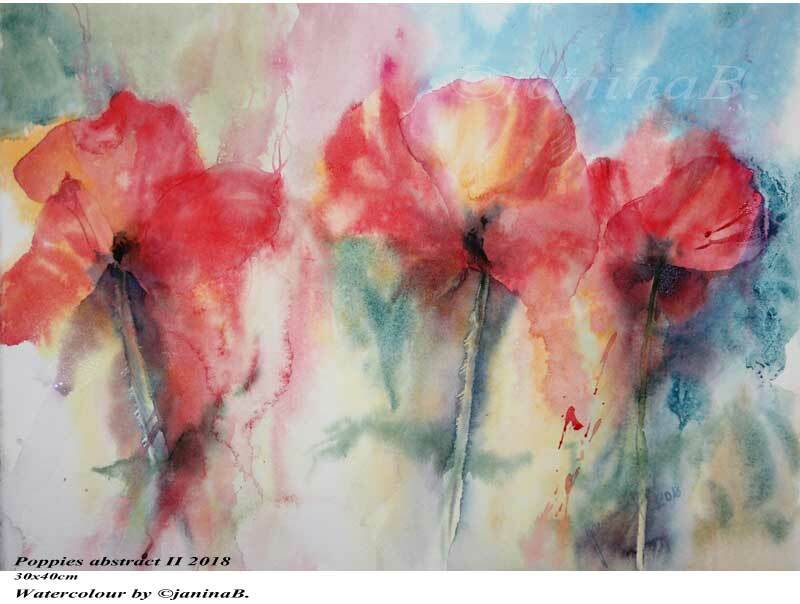 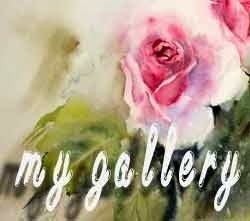 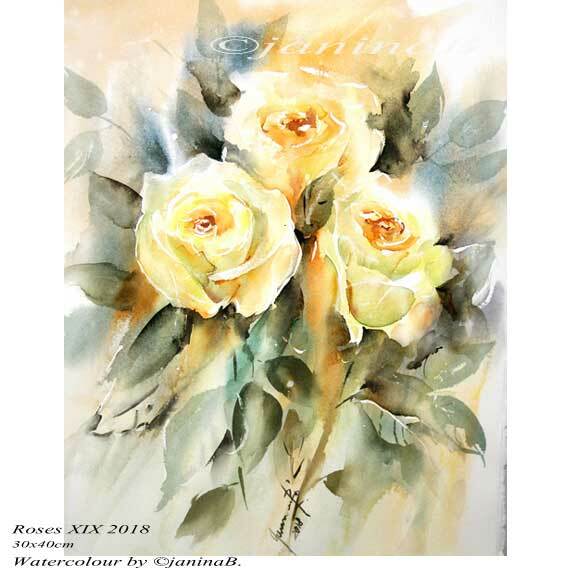 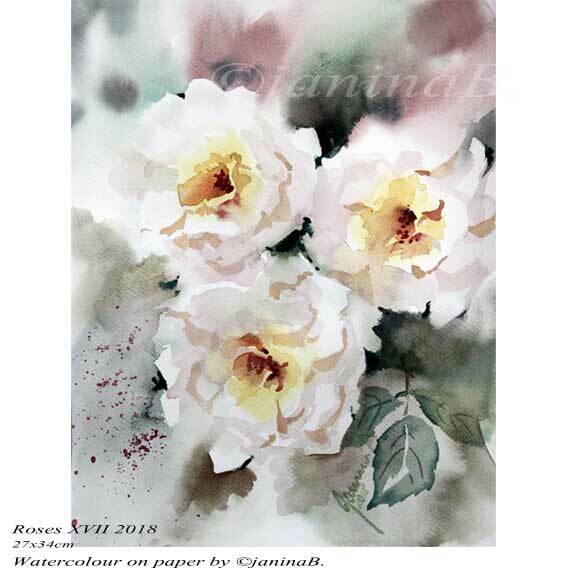 Roses XIX 2018 / 30x40cm Watercolour by ©janinaB. 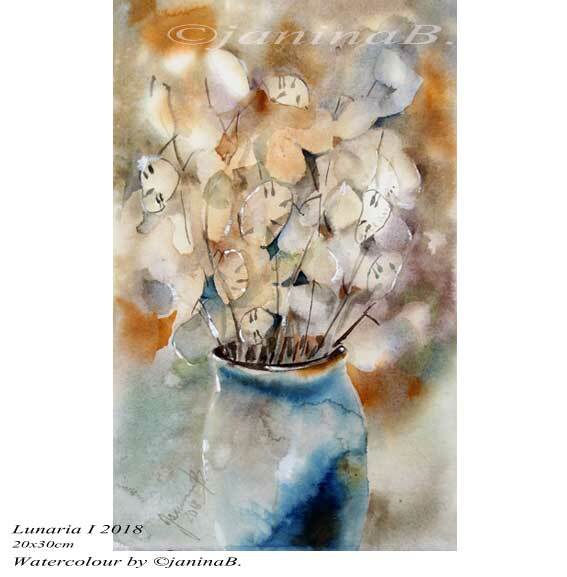 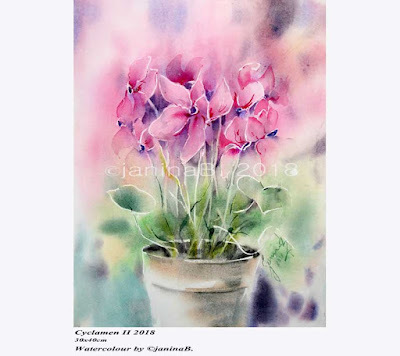 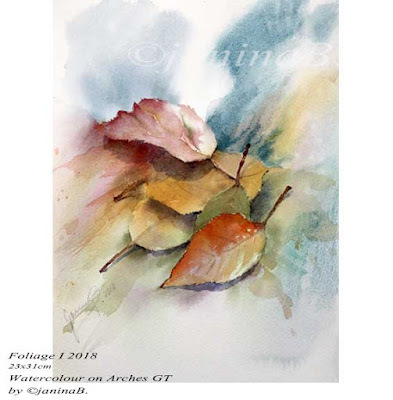 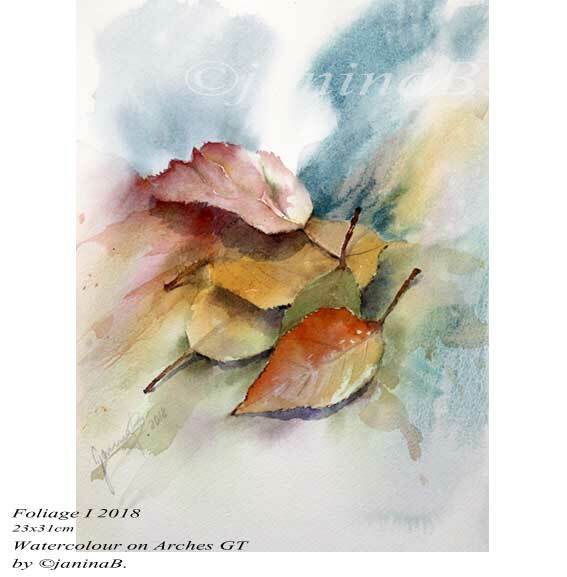 Lunaria I 2018 / 20x30cm Watercolour by ©janinaB. 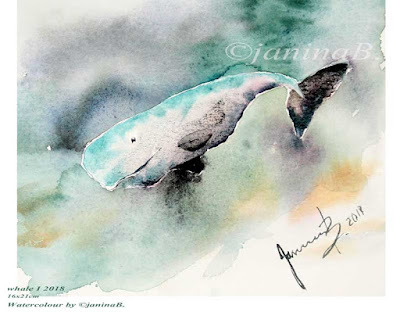 whale I 2018 / 16x21cm Watercolour by ©janinaB. Landscape V 2018 / 18x24cm Watercolour by ©janinaB. 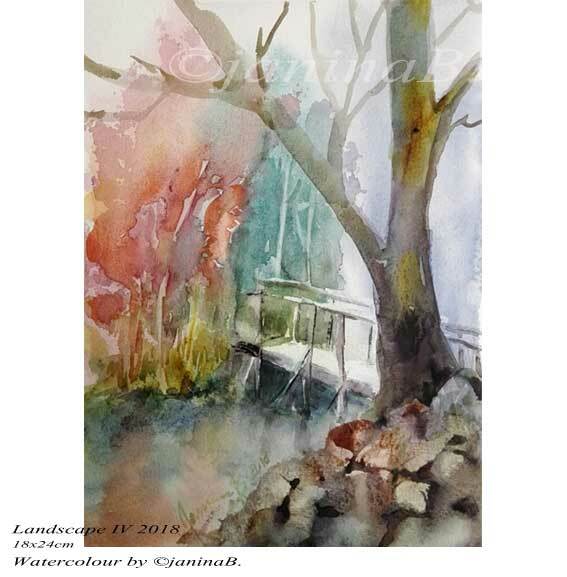 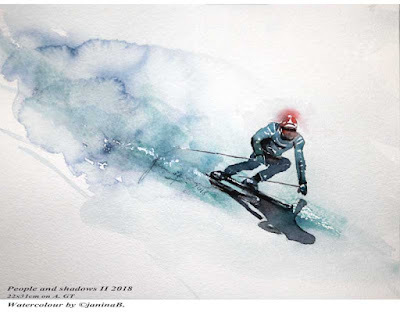 Landscape III 2018 / 30x40cm Watercolour by ©janinaB. 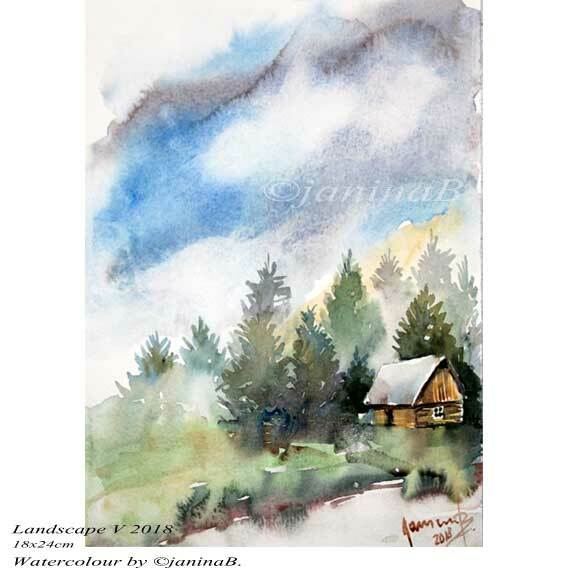 Landscape IV 2018 / 18x24cm Watercolour by ©janinaB. 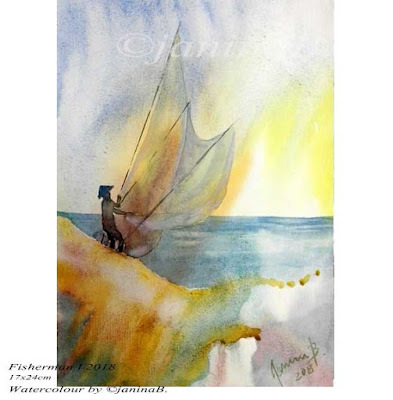 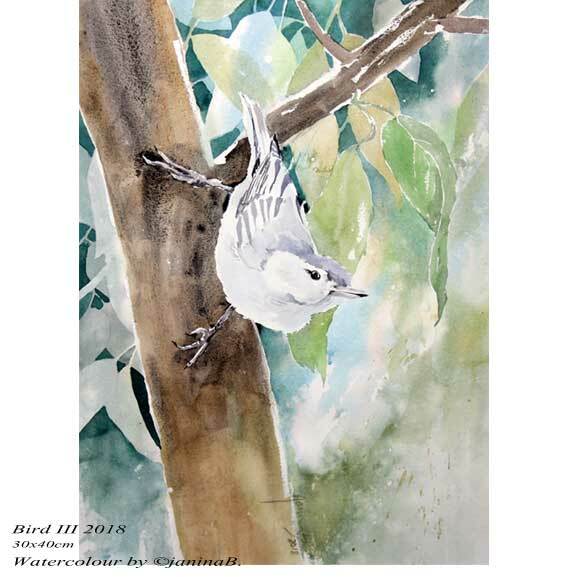 Fisherman I 2018 (O5) / 17x24cm Watercolour by ©janinaB. 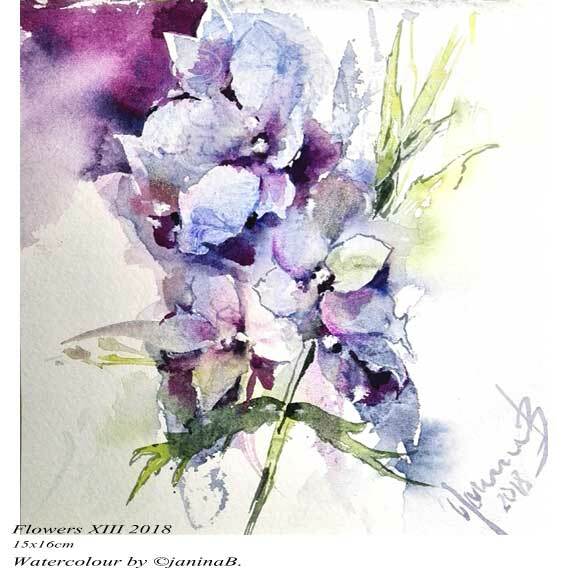 Flowers XIII 2018 / 15x16cm Watercolour by ©janinaB. 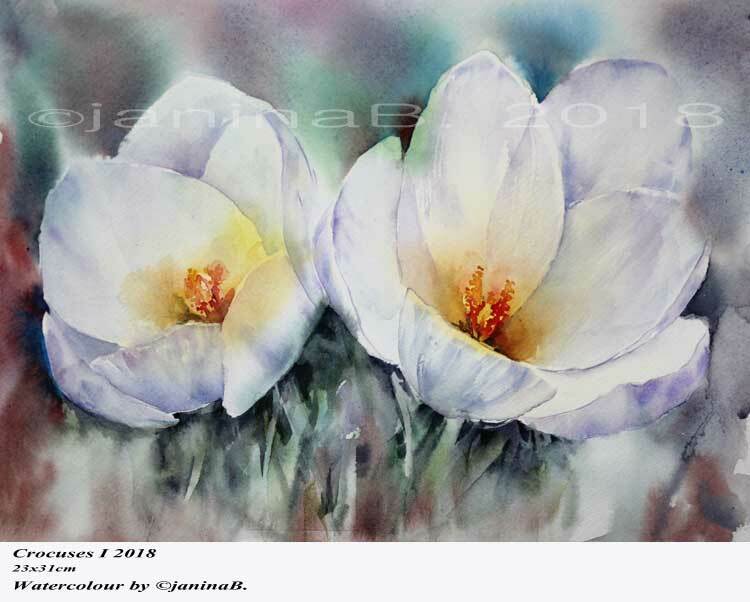 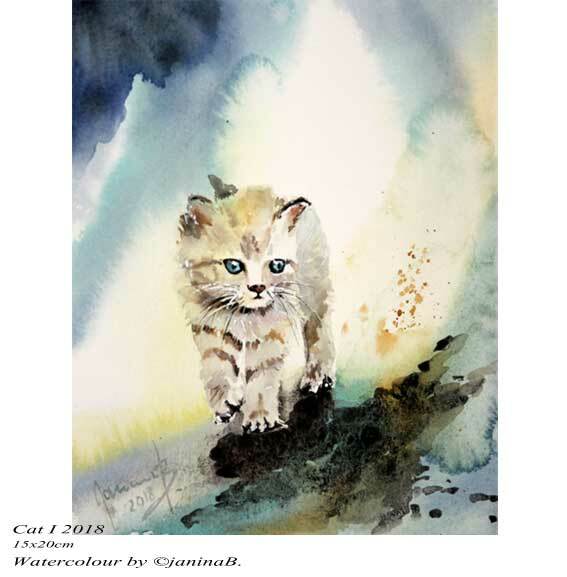 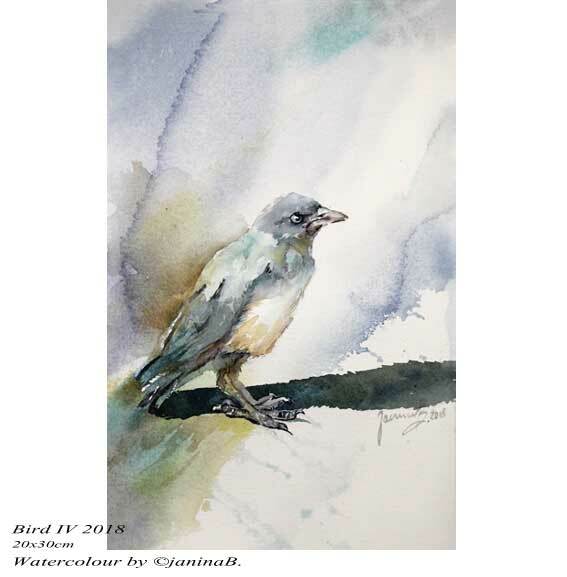 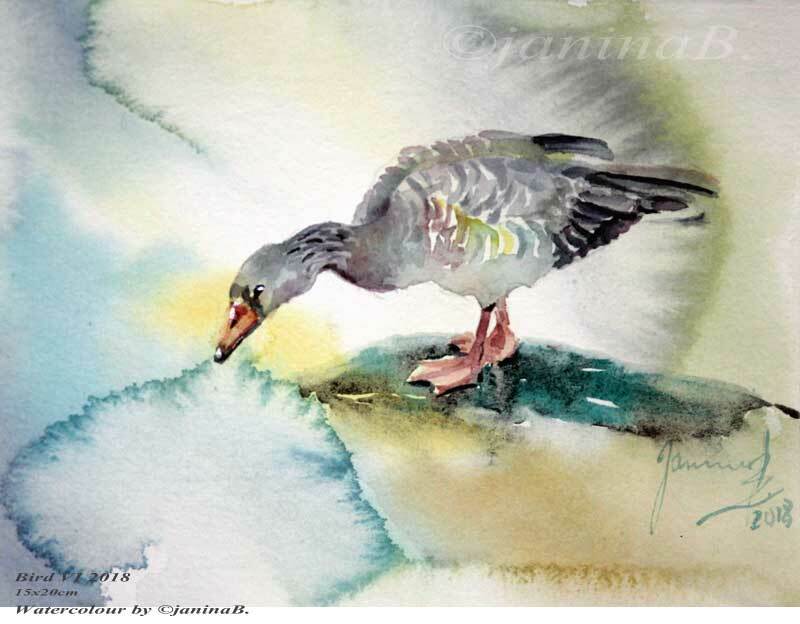 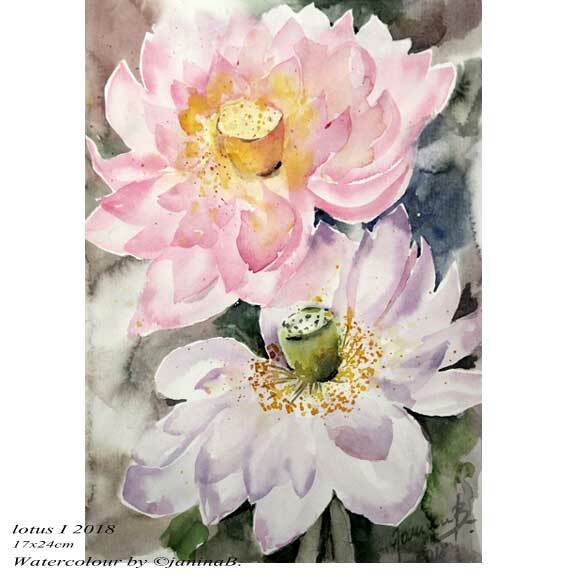 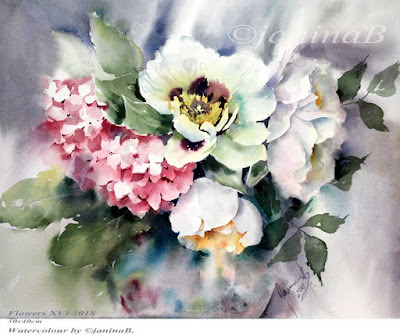 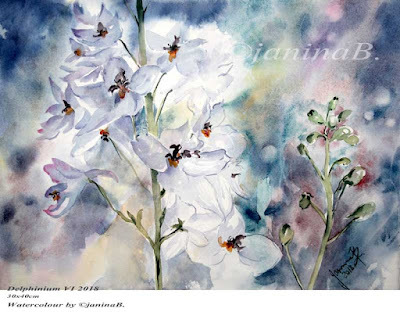 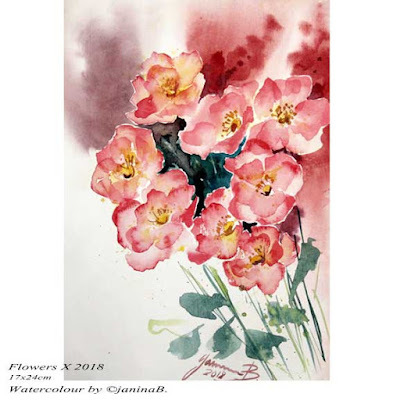 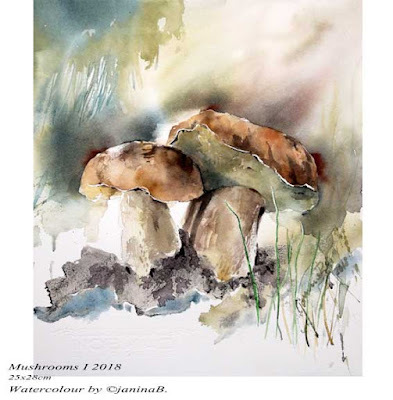 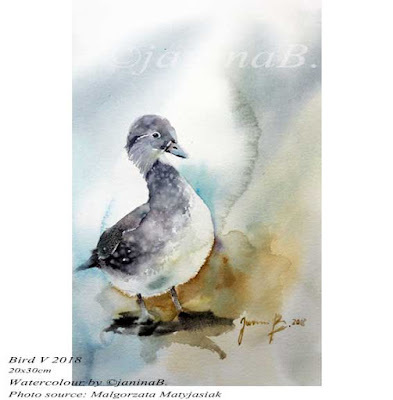 Cosmea I 2018 / 30x40cm Watercolour by ©janinaB. 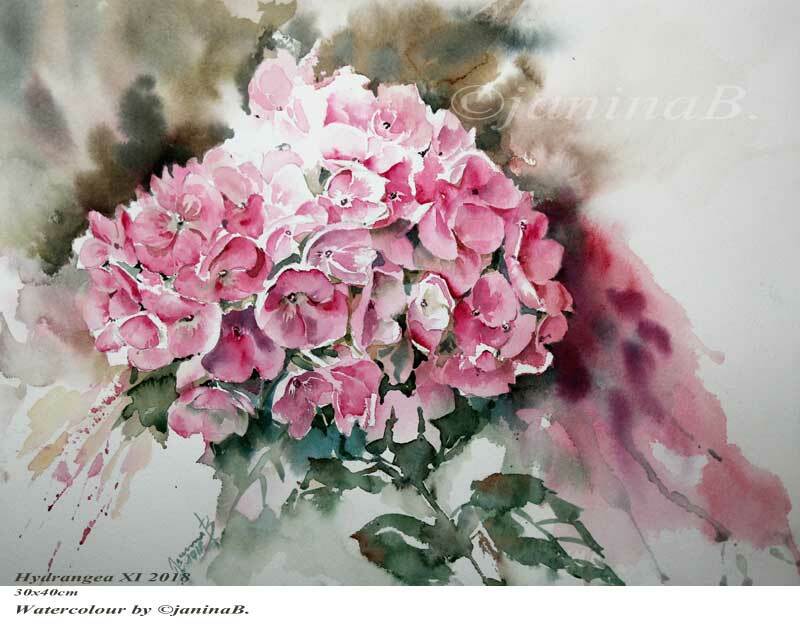 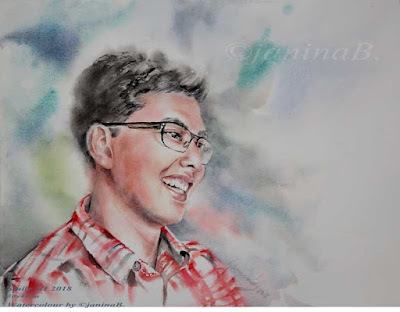 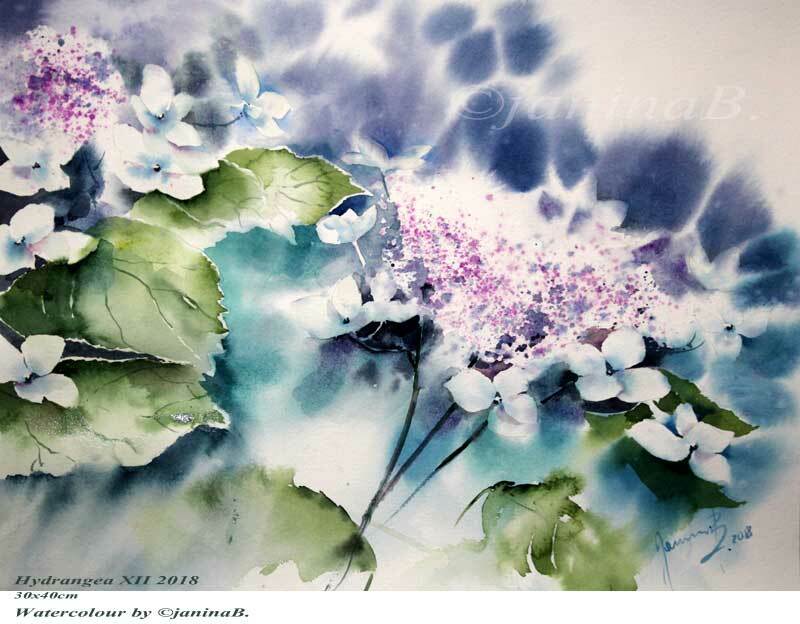 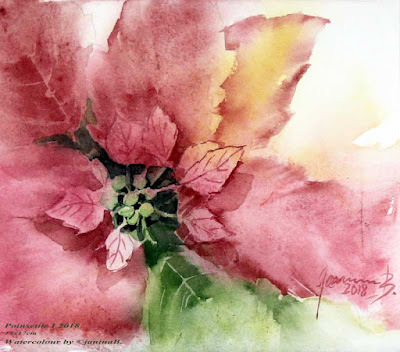 Hydrangea XII 2018 / 30x40cm Watercolour by ©janinaB. 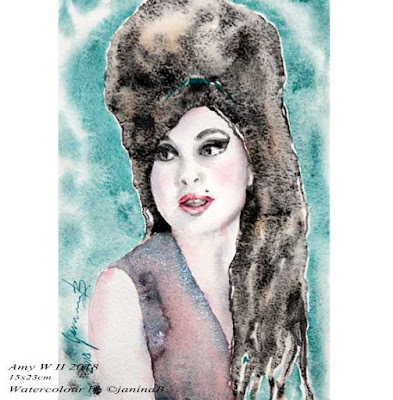 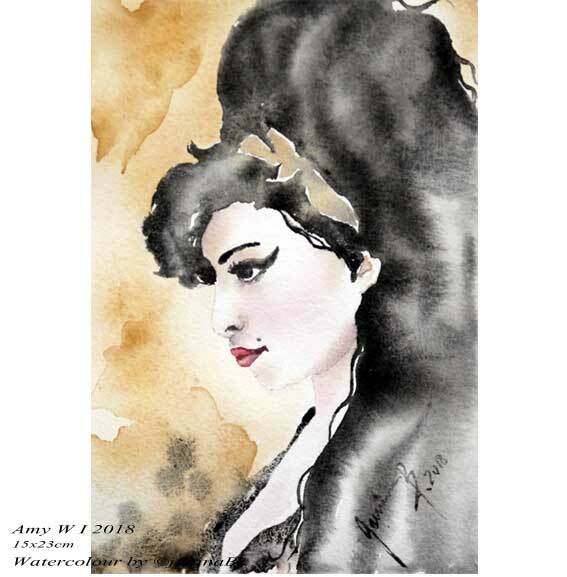 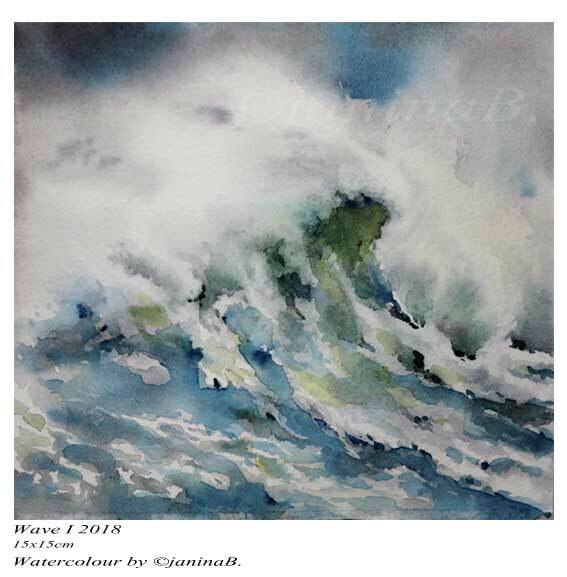 Wave I 2018 / 15x15cm Watercolour by ©janinaB. 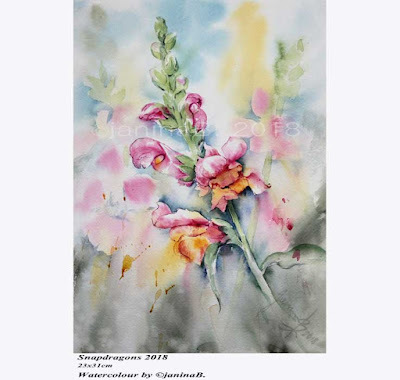 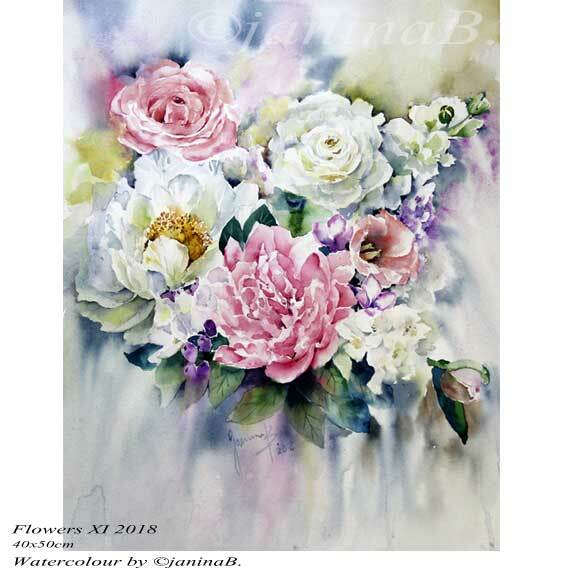 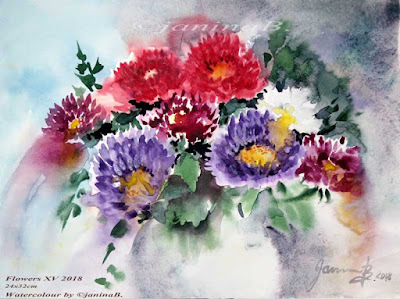 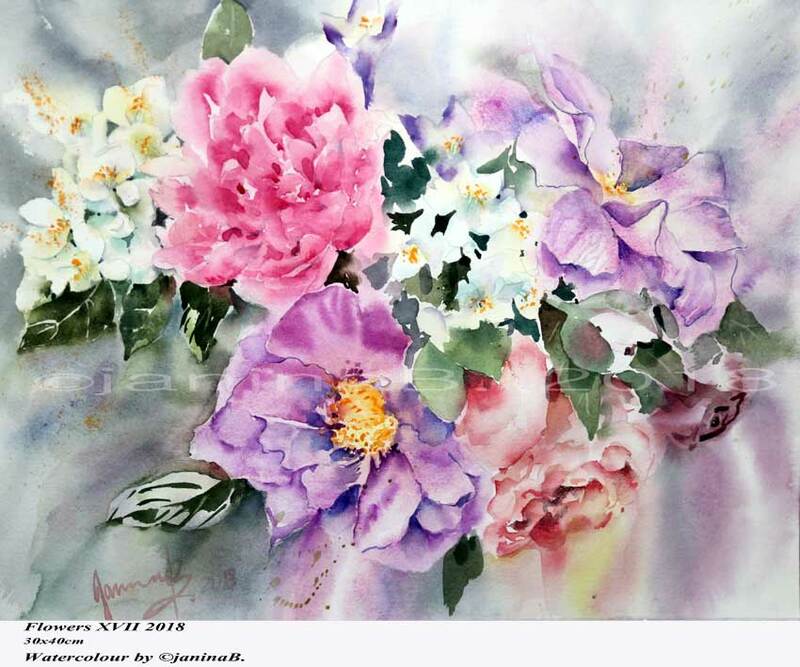 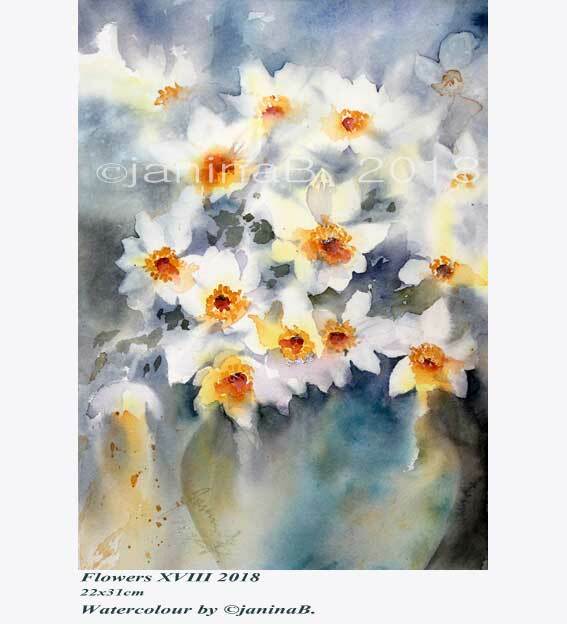 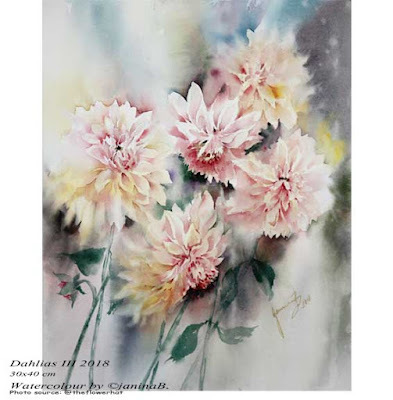 Flowers XI 2018 / 40x50cm / Watercolour by ©janinaB.